Chitra Staley brings over 30 years of experience in financial advisory and portfolio management. Prior to joining Beacon Pointe Wealth Advisors, Chitra founded TPW Financial, and was the CIO of Mintz Levin Financial Advisors and President of Staley Advisors. In these roles, she managed portfolios, created investment policies and oversaw asset allocation. Prior to establishing Staley Advisors, Chitra served as CIO for Crosby Advisors, the family office of the founder of Fidelity Investments. At Crosby, Chitra managed the family’s personal investment portfolios and evaluated global investment opportunities, particularly contrarian and non-traditional investments. 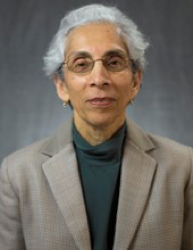 Prior to her work at Crosby, Chitra was a portfolio manager at State Street Bank & Trust Co. and developed expertise in valuing illiquid assets, such as family businesses, real estate investments and private equity. Chitra has deep expertise in impact investing. She was a Portfolio Manager at Boston-based Trillium Asset Management, the oldest and largest independent investment management firm in the U.S. solely devoted to sustainable and responsible investing. In addition, she served as Board Chair of the Jessie Smith Noyes Foundation, a New York foundation working to protect communities from toxic waste dumping and to promote sustainable agriculture. Chitra is passionate about empowering women both personally and professionally, is an active member of Beacon Pointe’s Women’s Advisory Institute, and has been a board member of the Boston Estate Planning Council and AASRA, an organization that helps South Asian women in need. She received her BA from Smith College and her MS from the University of Massachusetts. Chitra received her MBA from Simmons School of Management, and later earned the Chartered Financial Analyst (CFA) designation and the Certified Financial Planner™ (CFP®) certification.